Zarca's industry-leading, robust analytic tools and reports go beyond mere averages with advanced drill-down and slicing capabilities. Arguably the most valuable area of survey research, survey reporting and analysis turns raw data into actionable insights that help your business move forward. Zarca Interactive provides the highest-quality survey reporting and analysis engine in the industry and allows you to drill-down deep into results without any experience in data analysis. Zarca’s survey reporting and analysis solution boasts nearly a dozen analytic formats to extract a range of correlations and trends among various sets of your survey results. 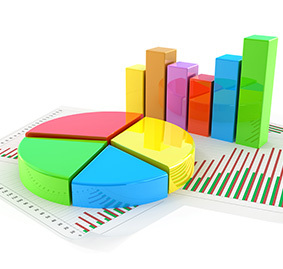 From the simplest needs, such as a classic bar graph for a quick representation of results, to a more complex Pivot Table that allows cross tabulation of a question with any combination of questions, our survey reporting and analysis tools offer broad mining capabilities to extract the insights you need. We also provide 10 custom options for sharply-designed charts and graphs to make your presentations eye-catching and powerful.